It will cost 4 time as much to grow soil carbon as you could hope to make from it, according to the GRDC and CSIRO. This truly incredible claim has moved many in the soil carbon community to question the science behind it. 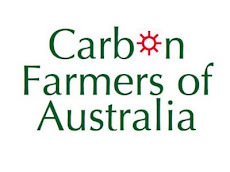 The GRDC's Ground Cover article: "The hidden costs of sequestering carbon in the soil" (Passouria et.al., CSIRO) seeks to prove that it would cost too much to grow soil carbon because of the price of nitrogenous fertilisers. "The C content of humus is about 60 per cent, so that every tonne of it contains 600 kg C (equivalent to 2.2 t CO2), and about 60 kg N, 12 kg P, and 9 kg S. Given that these amounts have to be locked up for as long as the carbon is stored, the question arises of what is the value of these required nutrients? The simplest assumption is that their value equals the cost of replacing them with fertiliser..."
The question has been framed to make the answer inevitable. The question should be, "Where can these required nutrients come from?" The source determines the prices. 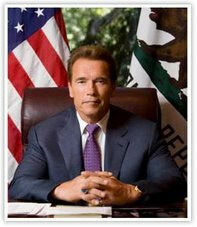 Once the frame is set, the next step is inevitable: "The simplest assumption" involves the application of expensive artifical fertilisers. After that shift, soil carbon is doomed. 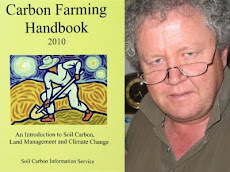 "Carbon trading is normally based on a tonne of CO2 equivalent, of which there are about 2.2 tonnes per tonne of humus. Thus, if the trading price for CO2 is, say, $20 per tonne, then humus would be worth $44 per tonne. This is but a quarter of the estimated value of nutrients locked up, as shown in the Table." The lead author kindly sent us an advance copy of the article, with these comments: "I am aware of Colin Seis's remarkable achievements, and I have wondered how he has succeeded in increasing soil organic matter in the topsoil by 2%. If that increase is largely humus, then it is likely to contain, in organically bound form, about 2 tonne/ha of N, 400 kg/ha of P and 300 kg/ha of S. I puzzle about where such large amounts could have come from." Now he has asked the right question. Col Seis says the answer is: soil microbiology. "They should ask their own people," he says. "It's no mystery. The mystery is that they can completely ignore what goes on in the soil and write these articles." 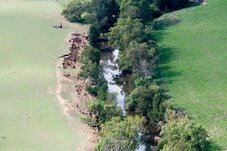 In 1998, a CSIRO team claimed that Australian agricultural soils may be holding up to $10 billion worth of phosphorus, as a result of fertiliser applications. "The rural industry spends $600 million each year on phosphate-based fertilisers, yet often only about 10 to 20 per cent of the phosphorus is directly used by plants in the year it is applied," said CSIRO Plant Industry researchers Dr Alan Richardson and Dr Peter Hocking (3). "The remaining phosphorus becomes locked-up in the soil," he said. We have to answer every challenge. 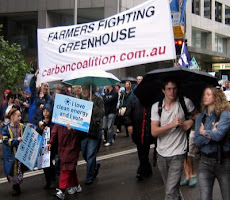 We believe that, if given a level playing field and bullet-proof scientific methodology, we can prove that carbon farming land management techniques, if properly applied, can result in accelerated rates of C sequestration.